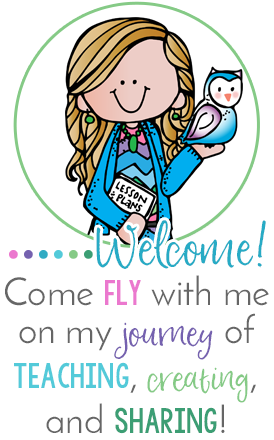 (I shared this post awhile ago on another blog, but I want to make sure you were able to grab these freebies in case you missed them!) 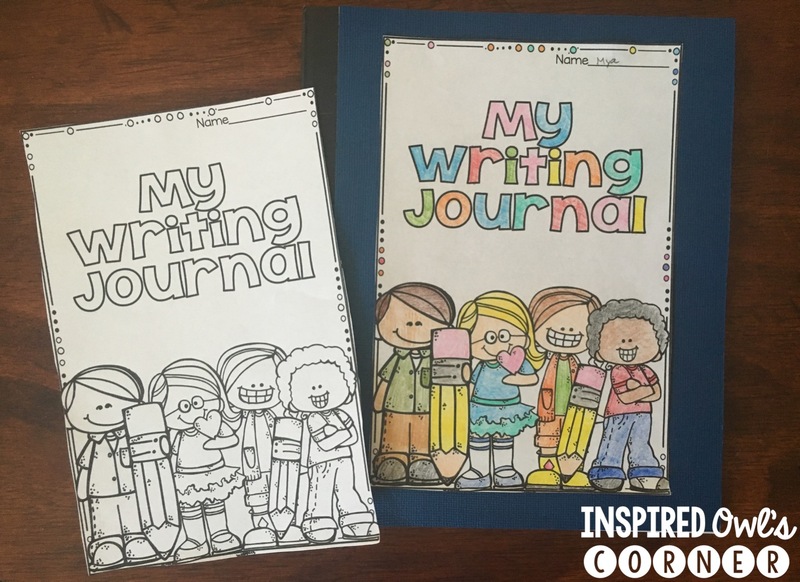 Last year I gave each student a writing journal. My plan was to give them a daily prompt to respond to, but the journal quickly became their place to write all of the things that were important to them. They were constantly asking if they could write inside their journals. 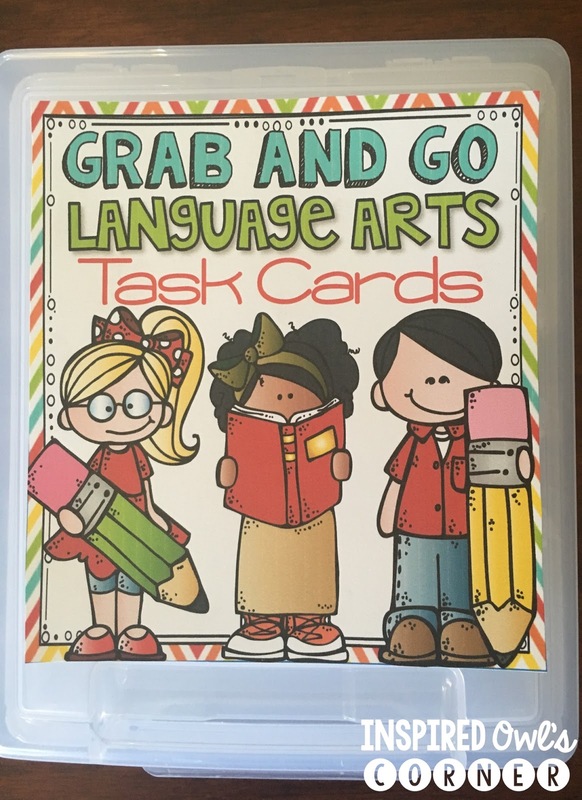 Next year we will have a new reading program, so I'm not sure how I will have my students use this journal, but I know I want my students to have one. I cut construction paper to fit the covers of composition books (they are 8 1/2 x 6 7/8 and from my school's office supplier) and added the My Writing Journal cover to the front. The students can color them on the first day of school to personalize them. Last year was also my first year in my new classroom. There are tons of shelves and cubbies for the students, but I wasn't sure how to use the cubbies, so I didn't assign them their own specific space. Each group had buckets to store markers, colored pencils, etc. on their tabletops. 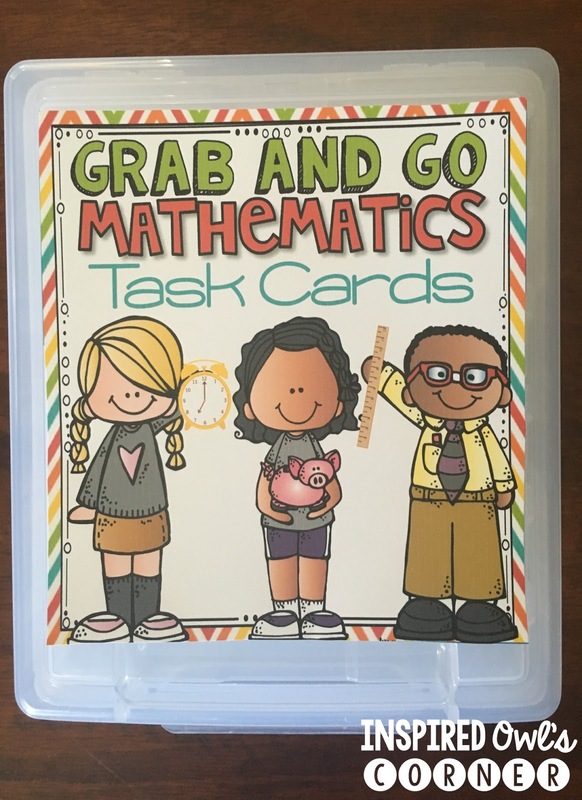 Since they didn't have much extra space inside their desks, I gave them a durable Ziplock baggie to keep their crayons and other personal items in. This was a disaster! Crayons, erasers, pencils, pens, and highlighters were constantly all over the floor. 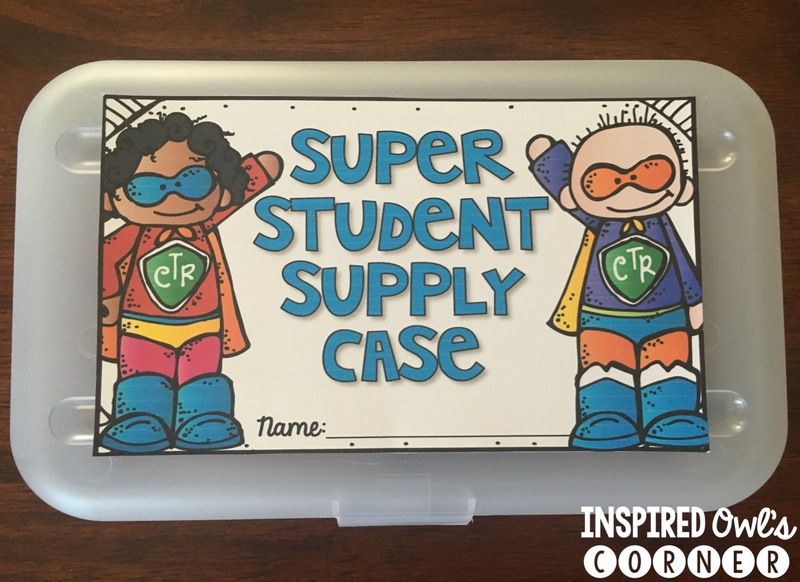 When the back to school sales begin, I am going to buy a class set of supply boxes, and I will assign cubbies. 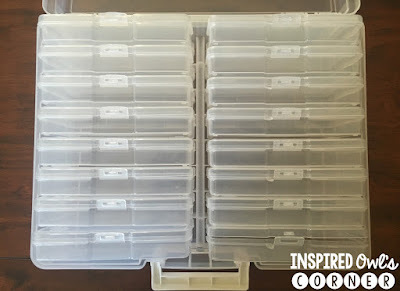 When they aren't using their supply boxes, they are going to be stored in the cubbies. Since our school wide theme will be superheroes next year, I added superheroes to them. You can grab them here if you would like to try them out. 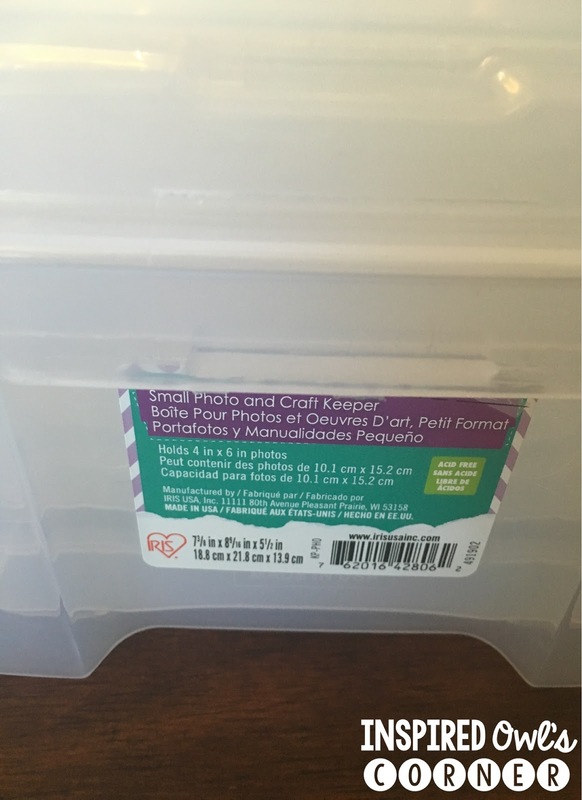 Earlier in the year I bought a photo storage container from Michaels to organize my math task cards. 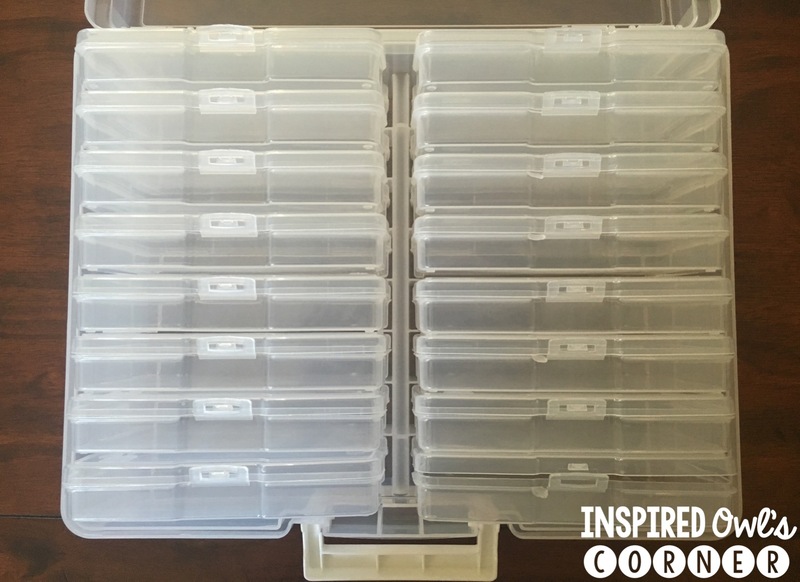 These containers hold 16 plastic cases that are perfect for holding task cards. I picked up a second one on sale last week at Michaels to store my language arts task cards. Since we will be using our new reading program, I want to make sure my task cards are organized for each week. I always have task cards available for students to grab and take to their seats during math and language arts Daily 3 rotations. This is something I want to continue next year. 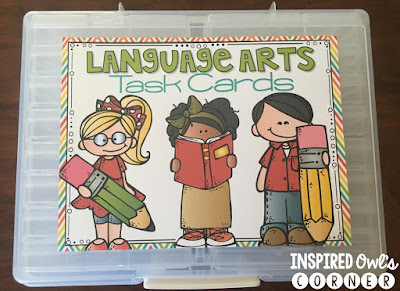 I love how Rebecca from Create Teach Share organized her Close Reading Took Kits, and decided to buy two more containers to store math and language grab and go task cards for the week. 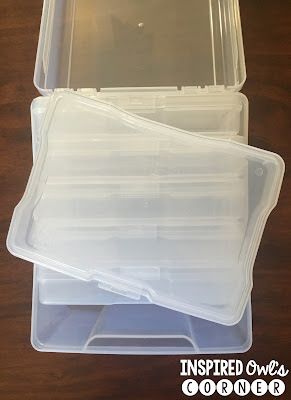 The individual cases inside are the same size as the ones in the containers above. (Below is what the labels on the containers look like in case you want to pick some up.) There are six plastic cases inside. I've seen them at Joann's, Michaels and Hobby Lobby. Some people have even seen them on clearance at Target. 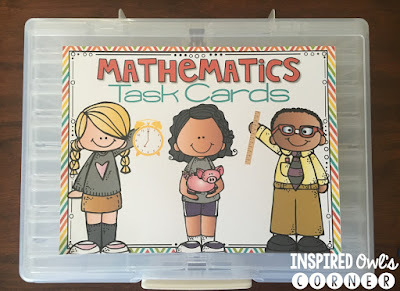 I'm redoing my classroom decor this year, so I added these cute kiddos and colors to match my new theme. You can download all four labels here. 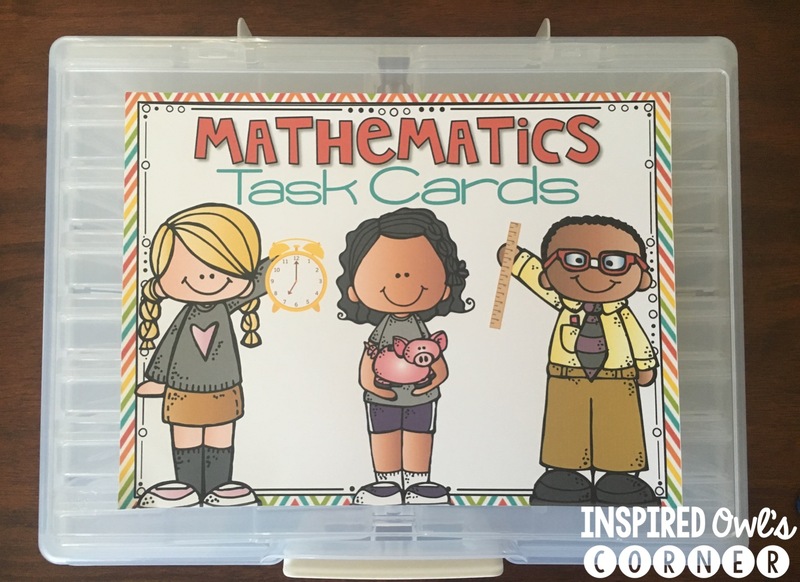 I hope these labels help to organize your kiddos and classroom!